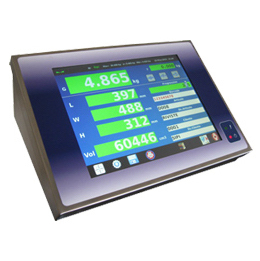 SIPI SE308 series computerised indicators are instruments that can be connected to all single or multiple load cell electronic weighing platforms. The SIPI weighbridges are made with metal or concrete platforms. The platform can be installed on the road surface on a special foundation or above, level with the connecting ramps. 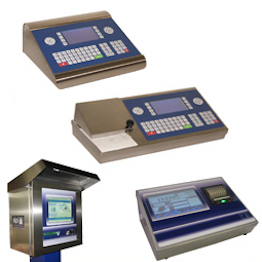 The SIPI TS series terminals use the Linux operating system which makes them very versatile for all types of use with custom software. 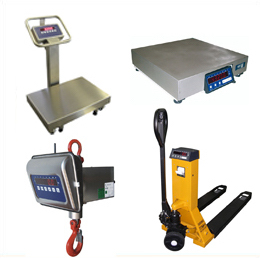 Electronic scales are used in many industrial environments, for both production and quality control, and in chemical and food environments. 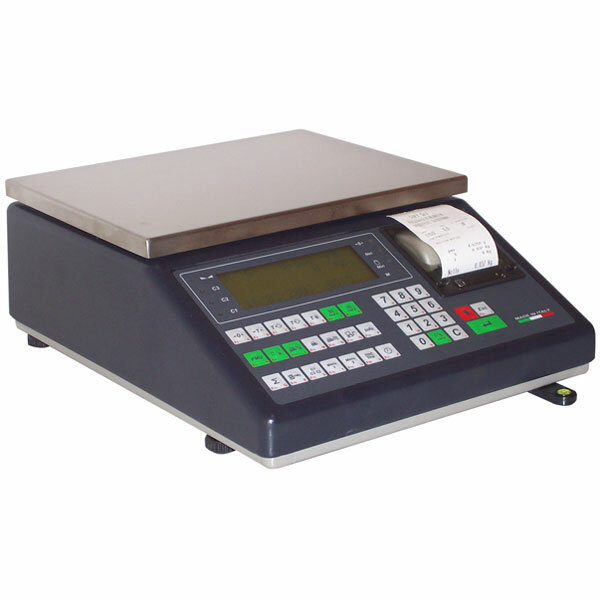 They are extremely robust, accurate and reliable scales, CE-M approved, and can be used for commercial transactions. 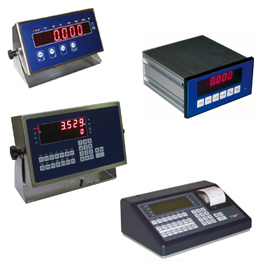 Piece-counting electronic scales are instruments that allow the rapid and precise counting of objects (from small to large-scale items) by weighing. 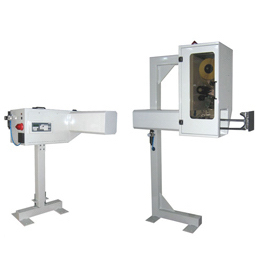 The systems for the measurement of weight and volume are used in logistics for the management of the overall dimensions and to calculate the amount of the goods being shipped. 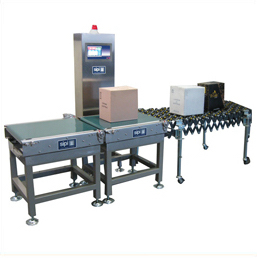 The automatic checkweigher systems allow for checking and selecting the product according to its weight. 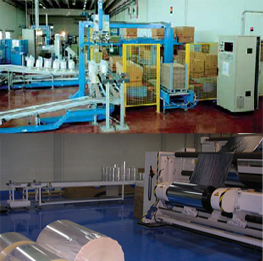 End-of-line plant is used in all manufacturing industries and in the various sectors of production and logistics. 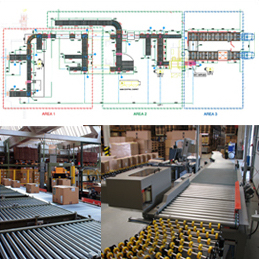 Design and creation of special industrial facilities covering all sectors that require automation and increased productivity while reducing costs. 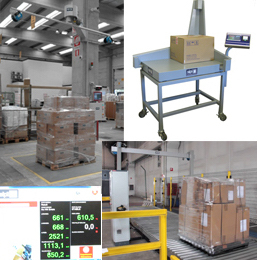 The SIPI automated labellers allow real-time printing of the information captured from the network or from the corporate computer, with text and barcode identification. 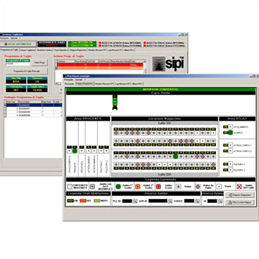 Developing custom software for plant management integrating such, where required, with corporate management programs for the exchange of data. 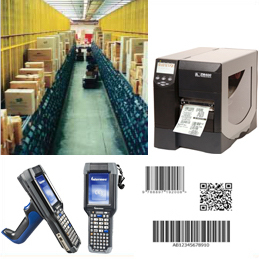 Data acquisition systems remotely via handheld devices or with terminals installed on machines operating terminals, operational management of the warehouse and printers, thermal transfer labels. 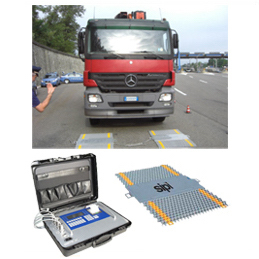 SIPI wheel weighing electronic platforms are a mobile weighing system for all vehicles moving on the roads. It a highly portable system in a convenient case. 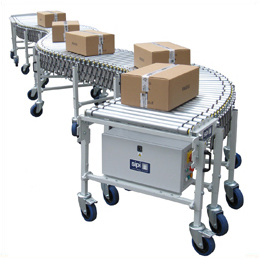 The Sipiflex series extensible motorised roller conveyor is a roller conveyor designed for distribution centres for loading and unloading vehicles, and for all cross-docking applications.